It feels like I should kick off my 52 Projects series with something grand, but that isn’t what this series is about. 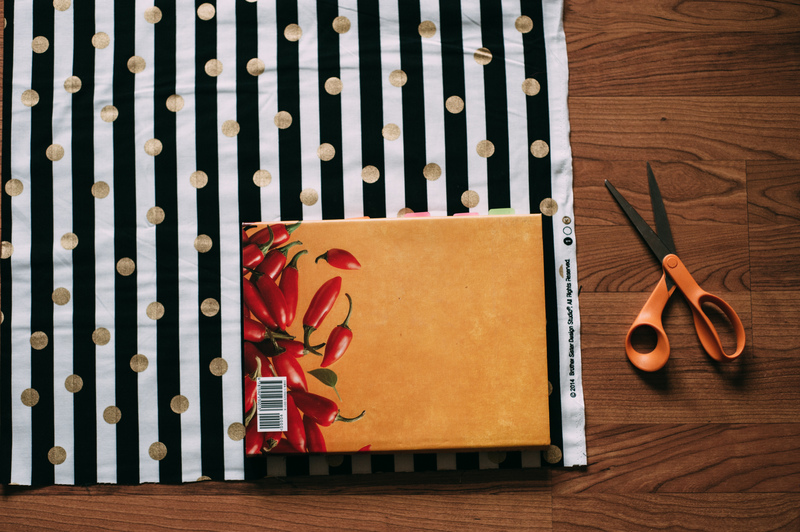 It is about intentional making, and there will be more small projects than big just due to my crazy schedule. This one is practical and fun. 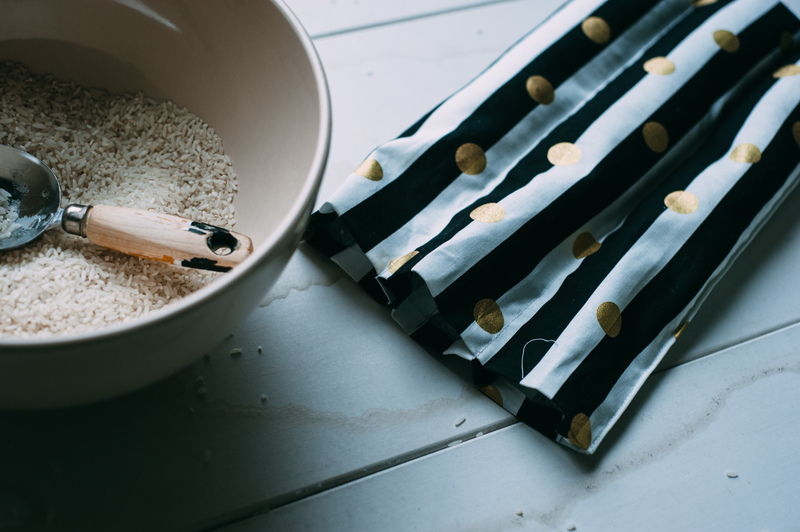 I needed a new microwave heating pad, and I noticed some huge bags of long grain rice I had sitting in the garage (I used them as cheap weights to hold down my backdrop stand at an outdoor shoot). There are all kinds of recommendations out there for what type of grains to use when making heating pads, but I wanted to use what I already had. 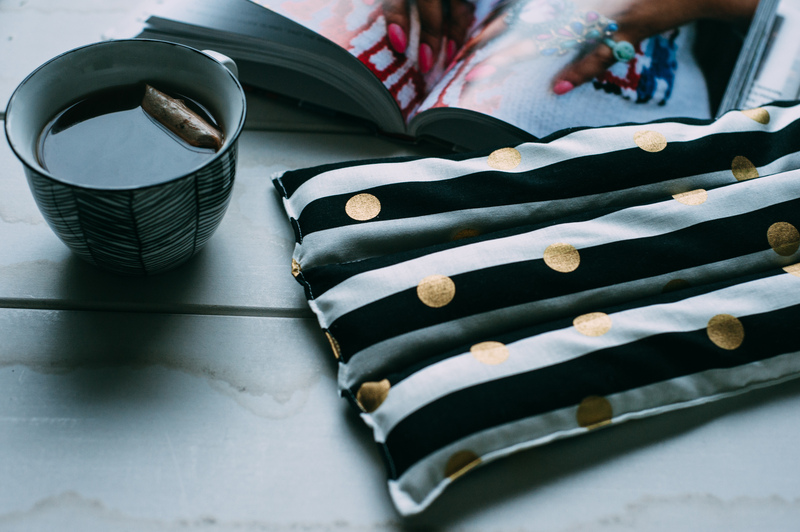 I’m a little bit obsessed with black, white, and gold as a combo right now, so I couldn’t resist this fabric when I found it…and who wouldn’t want their heating pad to be pretty?! I have some left that I might want to use for a pillow case! 1. 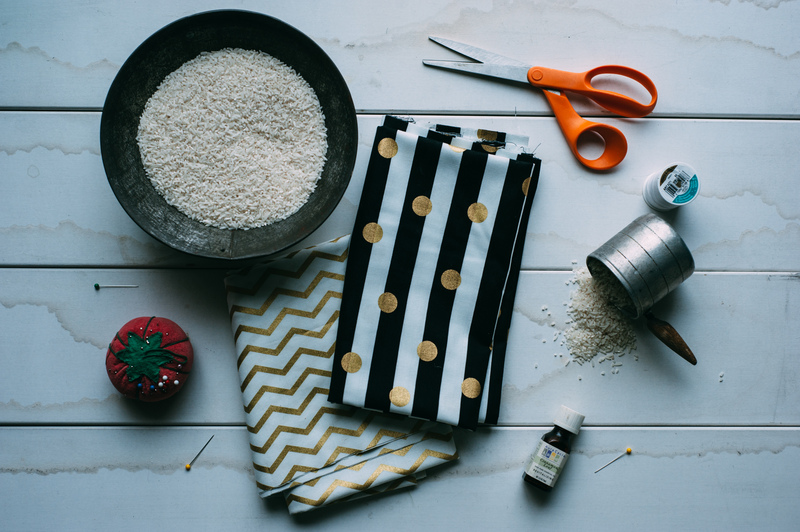 Mix rice with 5-6 drops of essential oil. I used more like 8-10 drops. It is really strong! 2. 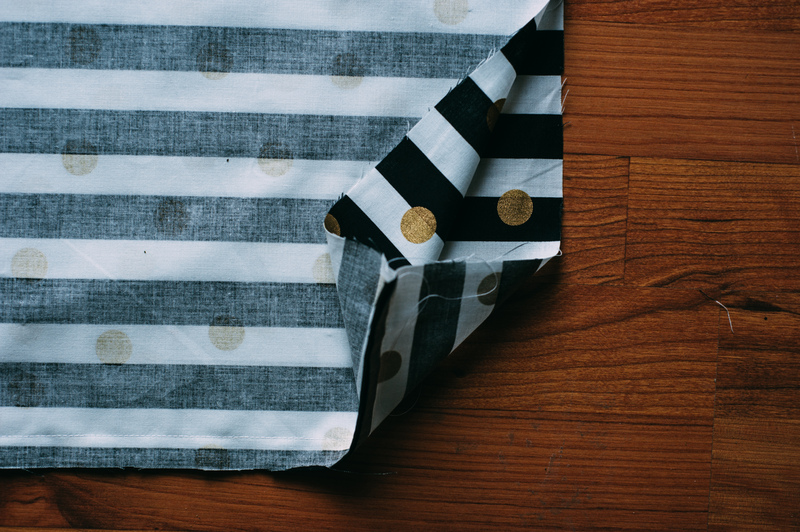 Cut out material in desired shape, leaving 5/8 for a seam allowance. I used this cookbook as a guide, but cut mine a bit larger. My finished pad measures around 14.5″ by 8.25″. 4. 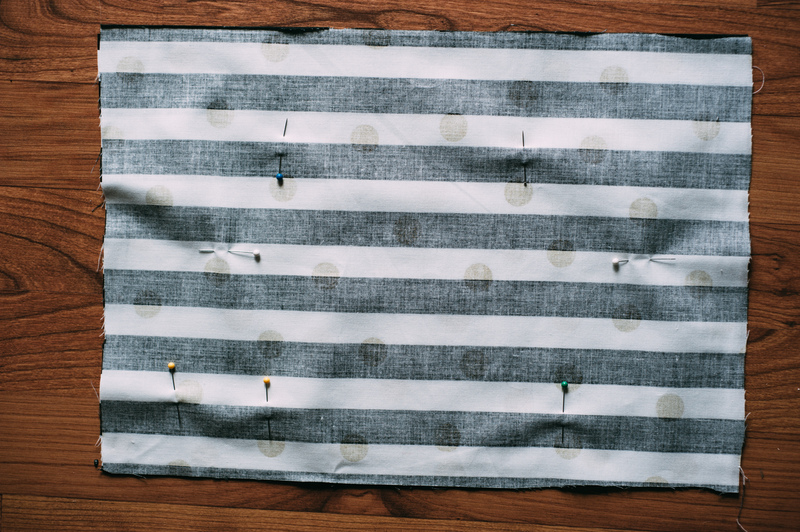 Pin, wrong sides together, and sew 5/8 inch seam around edges, leaving one end open. 4. Trim edges of corners (so it will be less bulky when turned) and turn pad right-side out. Iron again, pressing down seams and turning under unsewn edge 5/8 on both sides. 5. Sew three horizontal lines down the middle of the pad, taking care to keep the pressed edges on the open end turned under. These horizontal lines keep your rice evenly distributed. 6. Topstitch around the three closed sides of the pad, still leaving the open ends open. This seam should be quite close to the edge, roughly 1/16 inches in. 7. Fill the compartments with rice. Fill only 3/4 of the way, so your heating pad is still flexible. 8. Finish by topstitching the open end 1/16 inches in, taking care to catch the bottom fabric evenly. 9. 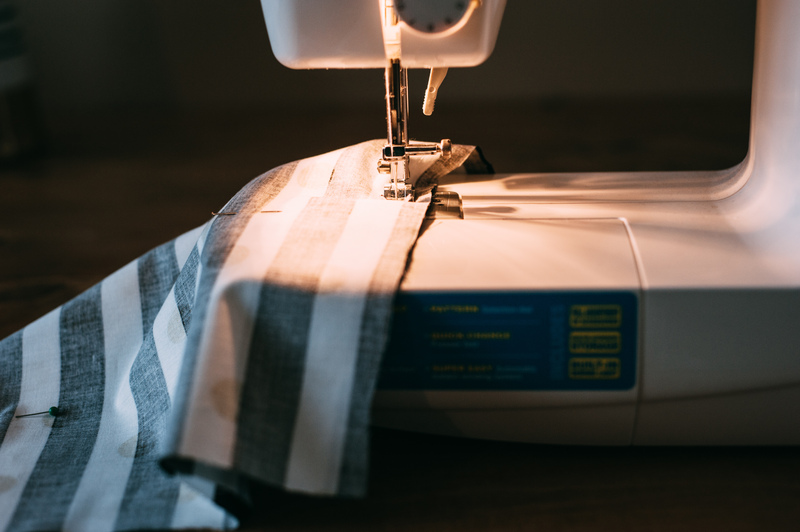 Trim loose threads, heat your pad up in the microwave, grab a book and a cup of tea, and enjoy pampering yourself! Heating times may vary, depending on your microwave and the size of your pad. Start with 1 minute, then add time in small increments. I was able to microwave mine for a total of 2:20 minutes for the first use and it was fairly warm, holding its heat for a little over an hour. Happy Thursday, brave friends! I’d love to see what you’re making!